Europeanization has generated a galaxy of regimes, laws, organizations, new actors, and networks that have diluted institutional barriers to interaction across national borders. Many nation-based policy competencies have been transferred to the European level. The European Union (EU), the world's first regional regulator, bears consequences for the development of public policy and for policies affiliated with the nursing profession. With limited exception, the EU does not have formal powers in the health care arena. However, as a result of its efforts in other fields, it has been heavily involved with health care and its providers. Nursing in the European Union demonstrates how the organization has refashioned the nursing world throughout the member states via its power in many other policy domains. This volume focuses on the EU's impact on nursing education, regulation, and research endeavours, and suggests strategies to achieve desired objectives. 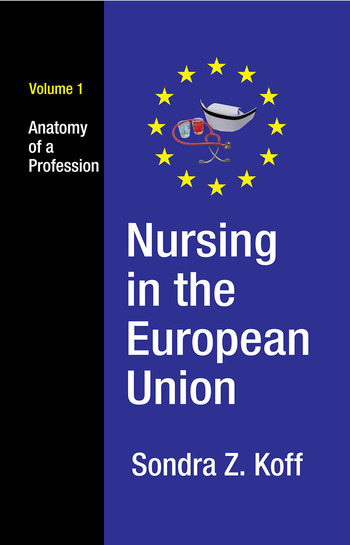 Volume 2, Nursing in the European Union: The World of Work, to be published in Fall 2016, focuses on real-life situations and problems EU nurses face: wages, stress, and dispute resolution. Sondra Z. Koff integrates the European experience with a discussion of nursing in the real world, and presents the nursing profession in light of the European Union, its components, its mechanisms, and its output and activities. Who Studies Nursing and Why?